Sally Koslow’s fourth novel is an example of really great contemporary women’s fiction. The Widow Waltz is entertaining, and it has depth. Koslow’s writing style is deceptively light, and unerringly true, so that the story unfolds effortlessly. 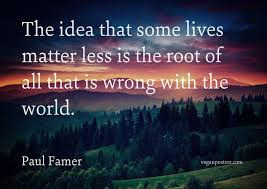 The novel’s plot and themes—family, husbands and wives, widowhood, grief, mothers and daughters, and starting one’s life over--are well-served by this prose style. The settings—New York City as lived by “the 1%,” and its country equivalent, the Hamptons—are rendered to perfection. Most importantly, the characters are all multi-dimensional. Then there’s the bonus of intrigue and mystery. Georgia Waltz (50) married Ben Silver (53) when she was twenty-one. Ben was very handsome, and very ambitious. He became an attorney, and provided Georgia with a lavish Manhattan life style. They were very much in love, and have enjoyed raising their two daughters. Georgia and Ben adopted Nicola as an infant from Korea. As soon as Nicolas arrived, Georgia discovered she was pregnant with Louisa. While the sisters are only a year apart in age, they are quite different in temperament and personality. Nicola ("Cola") (24) is “the good daughter,” elegant, responsible and dutiful. However, she is somewhat directionless, and has shifted from job to job. Louisa ("Luey') (23), although an excellent student who attends Stanford University, has a mercurial nature, and acts somewhat bratty and immature. When Ben drops dead from a heart attack after twenty-nine years of marriage, Georgia is devastated. She grew up in a very wealthy, mainline Philadelphia family. Her father Martin, now deceased, was a jeweler. Her brother Stephan, who is somewhat distant and aloof with Georgia, also is a jeweler, with a suite on Fifth Avenue. Their mother Camille suffers from Alzheimer’s and is in an upscale New Jersey nursing home. Georgia’s best friend Daniel “Danny” Russianoff runs an art gallery. He also happens to be her brother Stephan’s life partner. Besides dealing with her enormous grief, Georgia learns that Ben has left her nearly penniless. While the news is devastating, and she wants to find out how this could have possibly happened, Georgia has to deal with reality immediately. She has to downsize, and sell whatever assets she has. She also needs to truly connect with her two daughters, Nicola and Luey. Ben’s death, and his financial betrayal, plus other events and discoveries, force all three women to find inner strength, and leave helplessness behind. 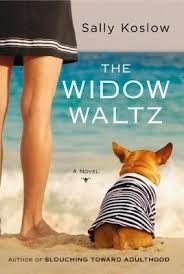 Since Koslow has written characters in which the reader quickly becomes emotionally invested, and because the plot has many twists and turns, I definitely would deem The Widow Waltz a page-turner. However, I savored this novel because I didn’t want to leave this smart, wonderfully executed novel too soon. I recommend reading this wholeheartedly. And I hope that someone is clever enough to buy film rights because this would make a terrific movie with great roles for women to play.